Take a walk down the lane of royalty. 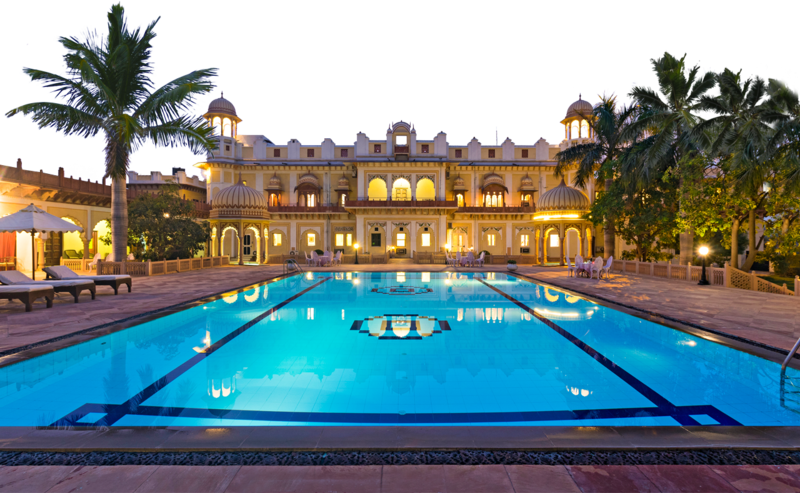 Laxmi Vilas Palace, offers an amazing blend of Heritage, Royalty & Modern Amenities, close to the Bharatpur Bird Sanctuary on Agra Jaipur Highway. 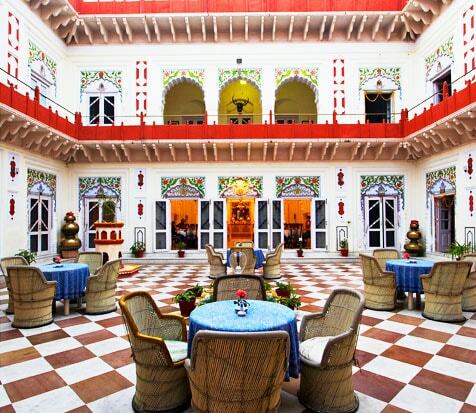 The heritage hospitality goes beyond the narrowly appointed rooms, period decor, and antique furniture. Enjoy a plush meal acclaimed by national as well as international travellers. The best of creative style is equally distinguished by warmth and personal involvement of our attention to various intangibles that define the rich and varied heritage culture. 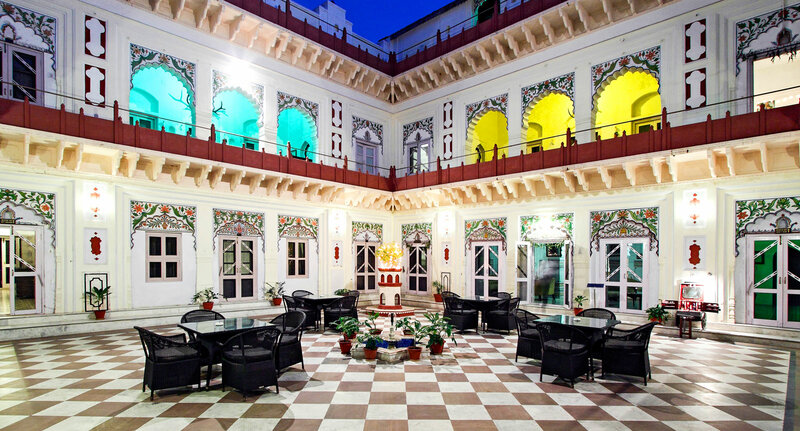 A reflection of Indian heritage- The Laxmi Vilas Palace is a delight in a small town of Bharatpur with sprawling gardens and lovely courtyards. Enjoy a lovely evening with your friends and family in the beautiful courtyard and a cup of tea. Spend some quality time chatting with your friends and family in the courtyard. Make yourself comfortable, take a glass of wine, enjoy scrumptious snacks and enjoy the bonfire during winters. A free rein to your desire to discover heritage. Uniquely decorated in a blend of Royal themes - these suites have the biggest rooms. 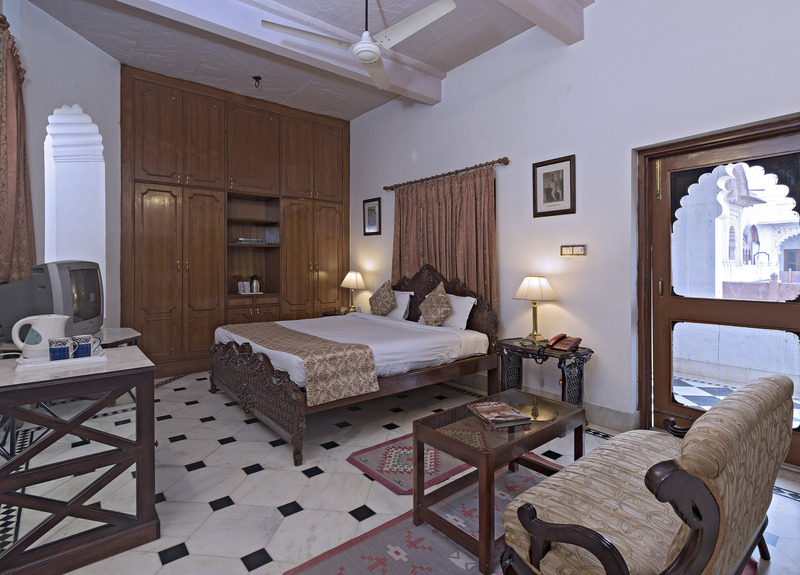 The finely furnished suites, are facing the lush green gardens, have king size bed with the option of an extra single bed. The seating area, has floor to ceiling windows and door, faces the lush garden and has a pleasant view. Facing the marble fountain in the inner courtyard are the Classic rooms with large king size beds for maximum comfort and are tastefully decorated . 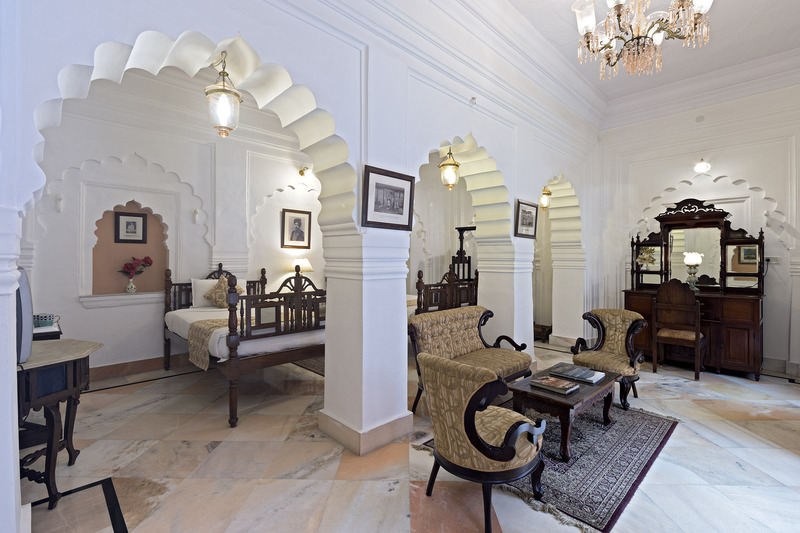 The timeless beauty of Indian aesthetics is what make these rooms beautiful. A luxury palace is incomplete without a beautiful swimming pool. The large swimming pool is perfectly amazing for a morning brunch and pool parties. The swimming pool and deck are a favorite spot to lounge among the tourists. With a baby pool and Jacuzzi all together it makes a nice place for families. The Keoladeo National Park or Keoladeo Ghana National Park formerly known as the Bharatpur Bird Sanctuary in Bharatpur, Rajasthan, India is a famous bird sanctuary that plays host to thousands of native and migratory birds especially during the winter season. Over 230 species of birds are known to have made the Keoladeo National Park their home. It was declared a protected sanctuary in 1971.